This article is 721 days old. 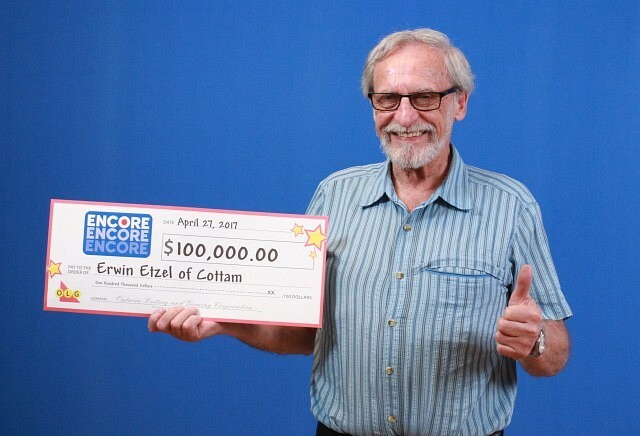 Erwin Etzel of Cottam won $100,000. Erwin matched six of the seven winning numbers on his Encore selection. Plans are underway for his windfall. “This win offers us financial security,” concluded Erwin. The winning ticket was purchased at The Hospice of Windsor & Essex County on Riverside Drive in Windsor.